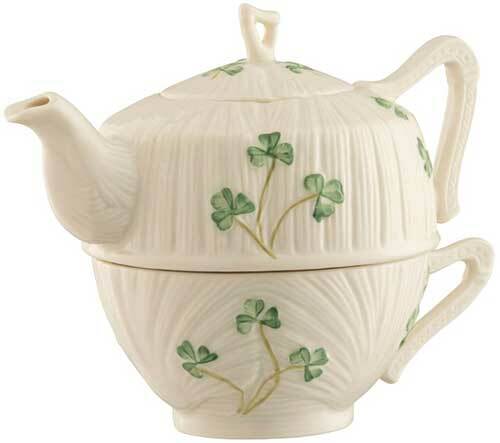 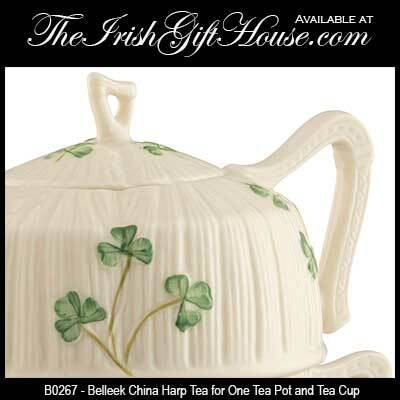 This Belleek tea for one teapot features the harp handles on the cup along with the pot and lid and is further enhanced with hand painted green shamrocks. 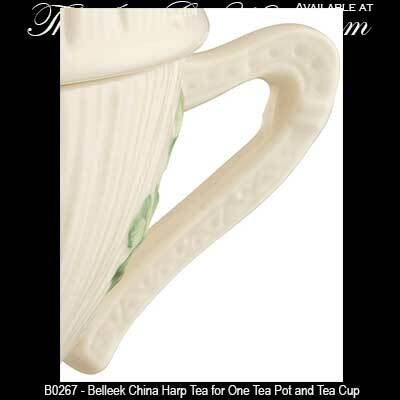 The Belleek harp teapot measures 6 1/2" wide x 5 1/2" tall and is made of fine china. 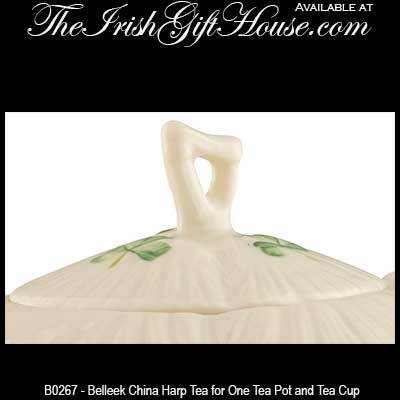 The Belleek harp tea for one is safe to use in the dishwasher and microwave oven.